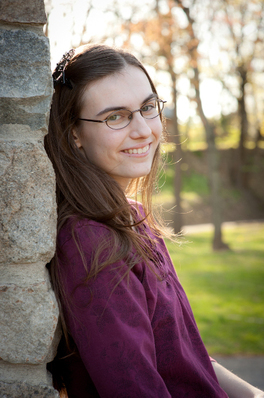 Abigail Johnson began teaching piano lessons in 2010. After her high school graduation in 2012, she focused on continuing her education. She has taken several music courses and participated in online MOOCs. In addition, she is studying business management at Lehigh Carbon Community College. Currently, she enjoys teaching 20+ piano students, ages 6 to adult. 2002-2011 - Private piano lessons. 2009 - Majesty MusiCollege by Ron and Shelly Hamilton. 2013 - Understand the Fundamentals of Music by Professor Robert Greenburg Ph.D. - Great Courses DVD course. 2013 - How to Listen and Understand Great Music, 3rd Edition by Professor Robert Greenberg Ph.D. - Great Courses DVD course. 2014 - Write Like Mozart: An Introduction to Classical Music by Professor Peter Edwards - MOOC by﻿﻿ Coursera. 2014 - Exploring Beethoven's Piano Sonatas by Jonathan Biss of Curtis Institute of Music - MOOC by Coursera. 2015 - How Music and Mathematics Relate by Professor David Kung Ph.D. - Great Courses DVD course. 2009-present - Church Pianist. This ministry includes regular piano solos, piano accompaniment for multiple singing groups, and congregational accompaniment. To view some of her church performances, click here. 2010-present - Piano Teacher. Miss Abigail currently teaches 20+ piano students between the ages of six and seventy three. She understands each student learns differently and is patient with each student as she helps them master the piano. To view excerpts from past recitals, click here. 2012-present - Music Composer and Arranger. Miss Abigail uses her opportunities as a church pianist and piano teacher to arrange hymns in her own unique style and compose original pieces for her students. Her YouTube channel showcases many of these compositions/arrangements.